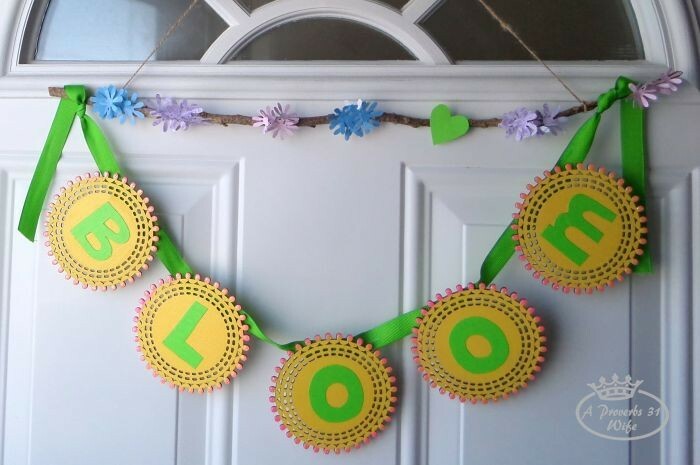 I wrote Welcome Spring to Your Home as part of a paid campaign with Plaid Crafts, Michaels, and Blueprint Social. The opinions in this post are my own. I know the Christmas is just past, and we aren’t hardly through the month of January. I also know that we have many many cold winter days ahead of us. But that doesn’t stop me from thinking about spring. 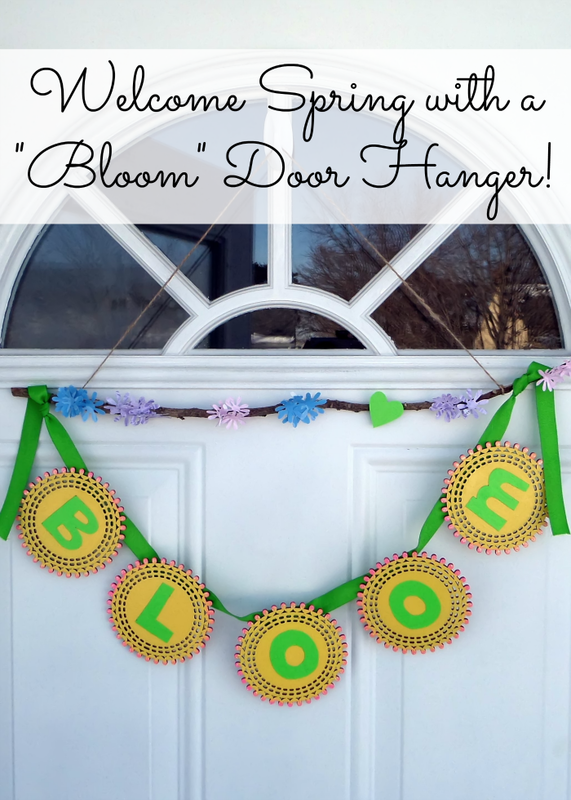 I created a fun project last week using the new Spring Wood Surfaces from Michaels and I’m showing you how I did it, so you can welcome spring to your home with a “Bloom” door hanger too! Bright Colors!!! I’m actually not a huge fan of decorating with bright colors, but in the midst of a blue/white winter, my soul craves color. Bright colors, sparkly and glittery colors! 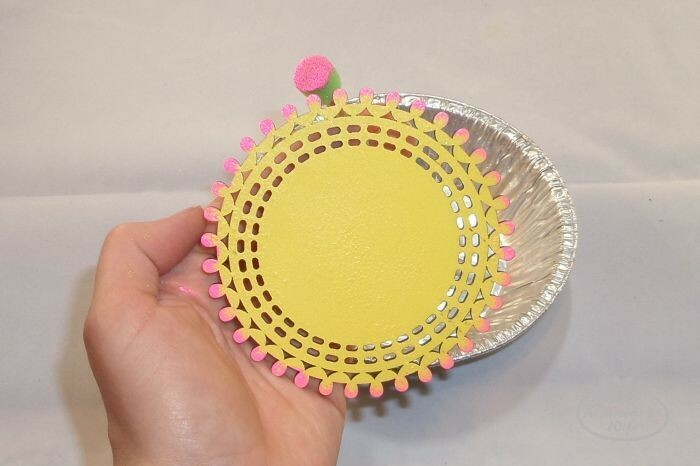 Using these little sponge pouncers make painting a breeze. 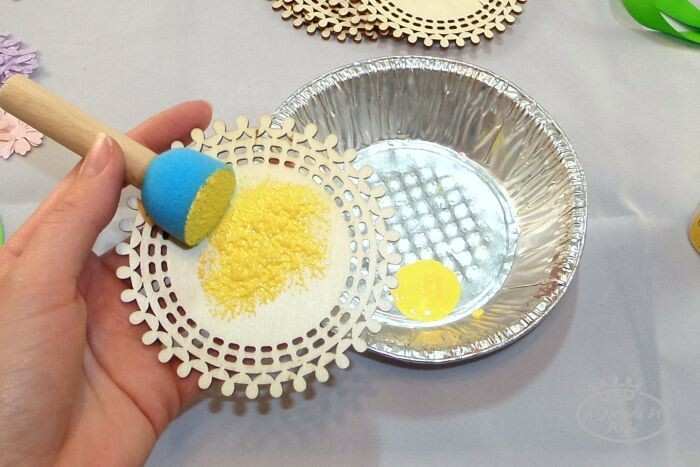 I spounced the entire surface of my circles with yellow paint. The paint wanted to fill the little holes in my piece, so once I was done painting it, I smacked it on a piece of scrap paper and the holes opened up again. 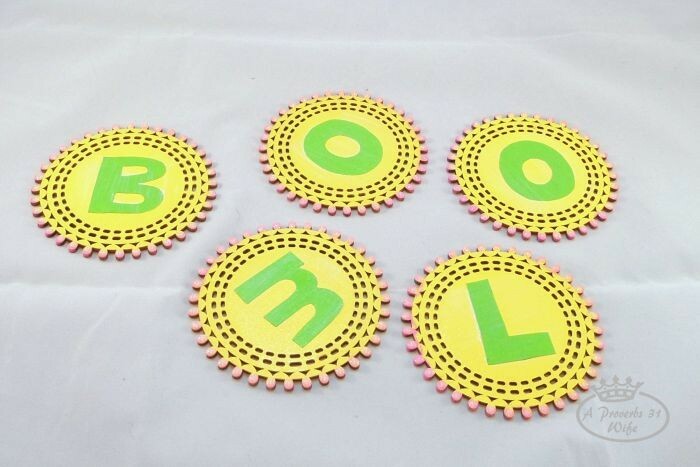 Use the matte finish Mod Podge to adhere the letters to your circles. Allow it to dry a couple hours. 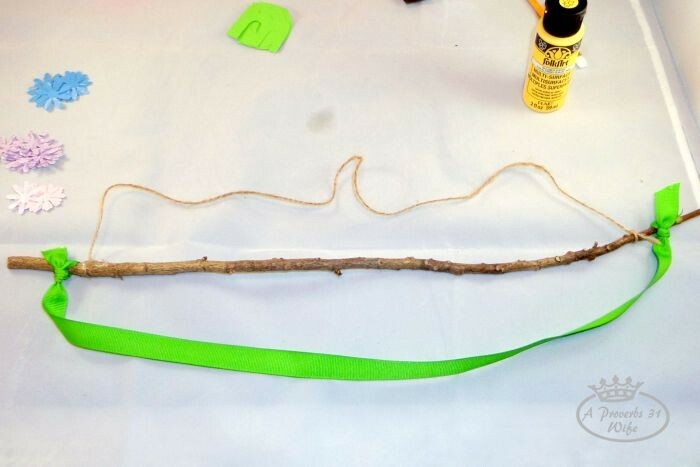 I tied the string and ribbon to the twig next. It turned out that my ribbon wasn’t near long enough. 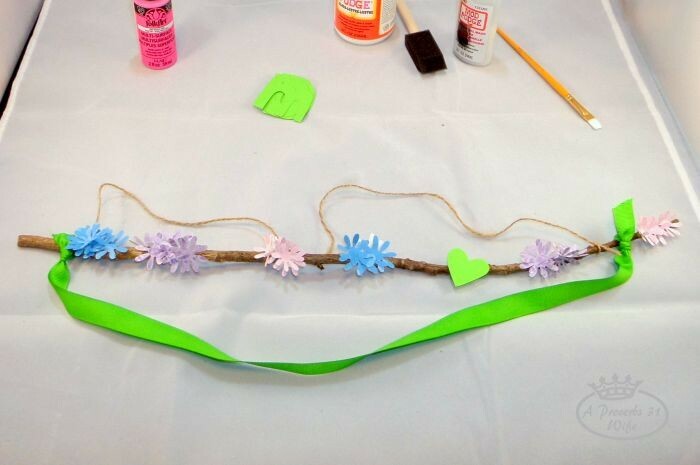 I later cut a longer piece of ribbon, glued my letter circles onto it, then tied it to the twig. Next I used the hot glue to attach my paper flowers. After I glued them all on, there was a gap that looked strange. I took green paper and cut out a small heart. Perfect. I used the hot glue to attach my letter circles to a much longer piece of ribbon than I originally had planned on using. Then I tied the new longer piece to my twig. Do you like to welcome spring to your home a little early? 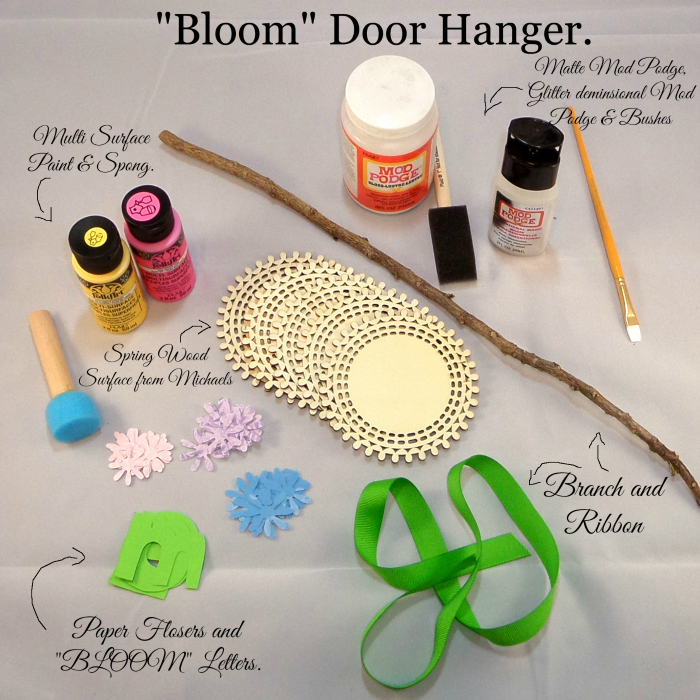 The box of goodies I received from with the Spring Wood Surfaces contained more than just the circles I used above. I also received a few other designs and had a bit of fun with them as well. I painted the circles and glued mini clothes pins to the back. Next I added magnets, clipped photos on and stuck them to my fridge. Just a bit of fun and whimsy. It seems like my shopping lists always pull away from the back piece, and when that happens, no more magnet. 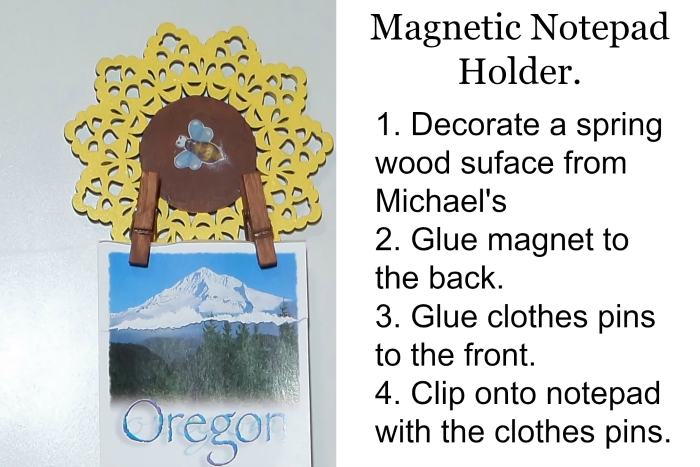 I fixed that issue by putting a magnet on the back of a decorated circle, gluing clothes pins to the front and clipping on the notepad. If you had been sent these Spring Wood Surfaces from Plaid, what would you have done? 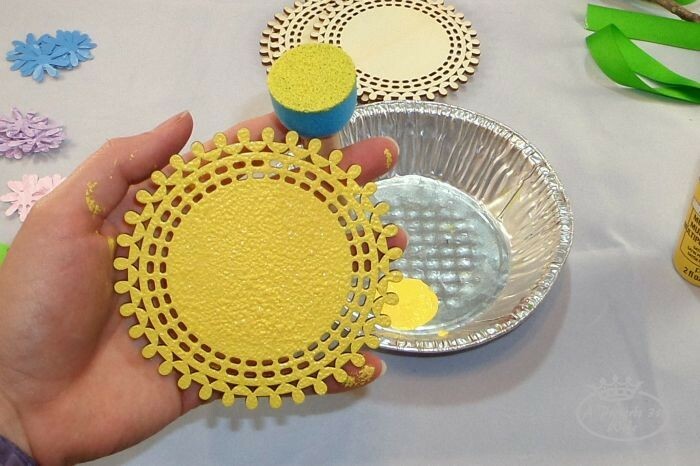 Love Plaid Crafts? Visit the Plaid Palette blog to learn more about new products, find great inspiration and more. Sign up for Plaid’s email newsletter and be delighted by special coupons, project ideas and more! Visit their YouTube channel and discover product demonstrations and more. For more on Welcoming Spring to your home, why not check out this simple recipe to freshen up your carpets? Very cute and welcoming! 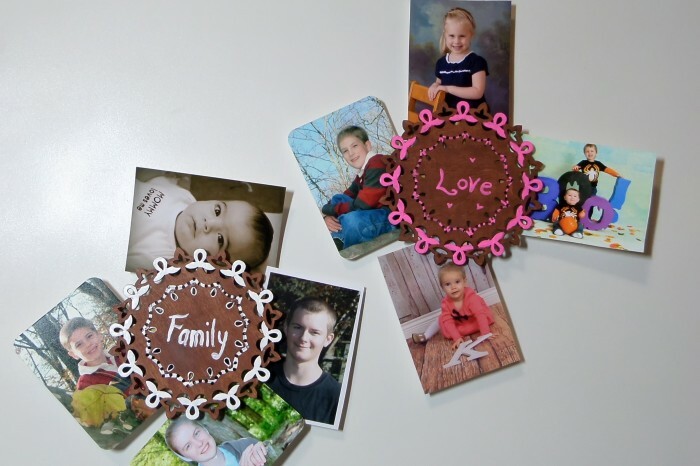 Love the wood cutouts you used. Visiting from Show + Tell.